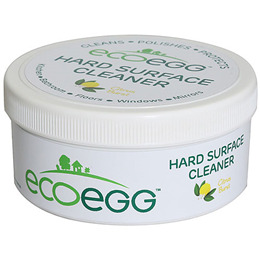 This eco-friendly, powerful cleaner is perfect for use all around your home. 100% natural, and with a subtle citrus burst fragrance, it gives truly great cleaning results, powering through even the toughest of grime. Eco-friendly, skin friendly. No phosphates, no detergents and no chemicals. Cleans, polishes and protects - It’s not just long-lasting cleaning – it polishes and protects your surfaces too - whilst you clean. So your surfaces stay cleaner for longer. It’s great for use on almost all hard surfaces such as stainless steel, ovens, tiles, windows, mirrors, shower screens, pots and pans and so much more… Tip: It’s a fantastic jewellery cleaner too! Clay, soap flakes, green soap and minerals, Limonene, Aluminum Oxide, Glycerol, Sodium Carbonate, Natural Soap, Vegetable oil, Perfume. Just wet the sponge and wipe over the paste then use a circular motion to clean almost any hard surface and watch as it powers through dirt effortlessly. Let the paste dry before closing the container. Not recommended for car paint work, gold plate, leather or fabrics. Please always test before use. Causes serious eye irritation. If in eyes, rinse cautiously with water for several minutes. Remove contact lenses if present and possible to do so. 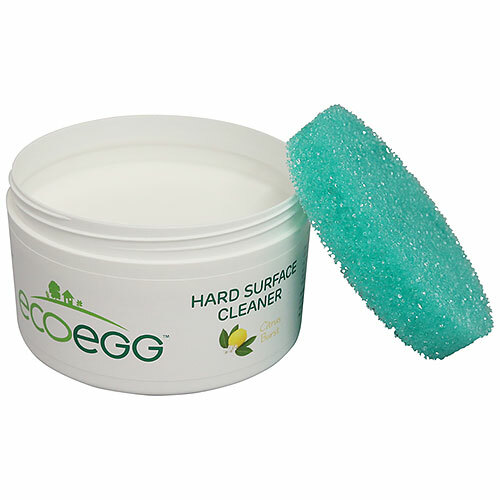 Below are reviews of Ecoegg Hard Surface Cleaner - 300g by bodykind customers. If you have tried this product we'd love to hear what you think so please leave a review.